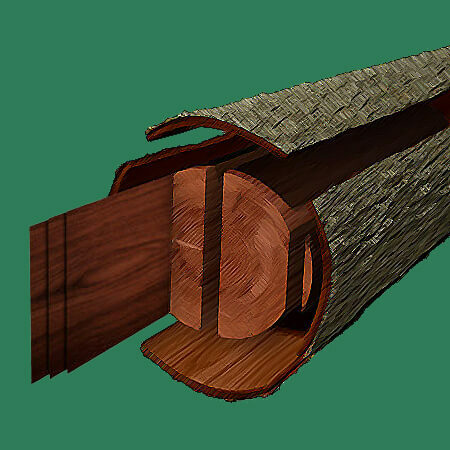 The size of the log, the species of wood, the grain pattern desired and other factors determine which type of cut will be made to create veneer. 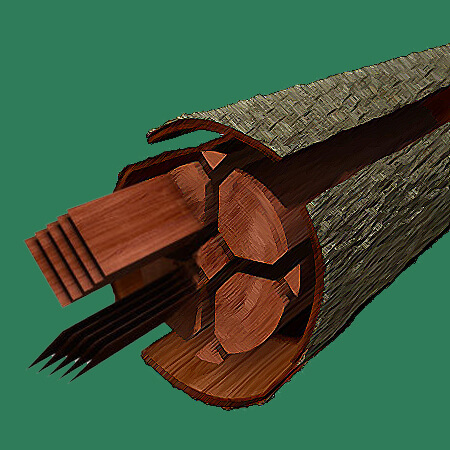 Below are some of the most common methods of cutting logs. For more information, see our wood veneer glossary of terms. The slicing is made perpendictular to the annual growth rings of the tree. This creates a straight grain appearance. 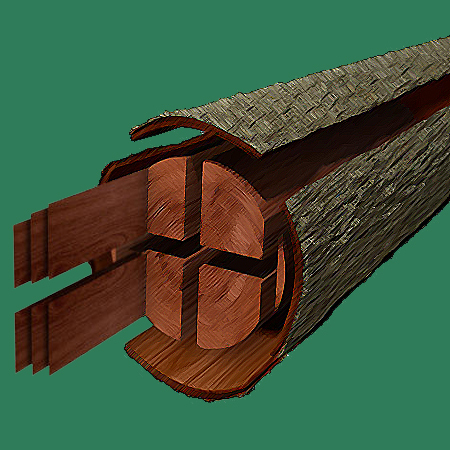 By slicing parallel to the center of the log, a raised "cathedral effect" is formed by the innermost growth rings. This is also known as flat cut. 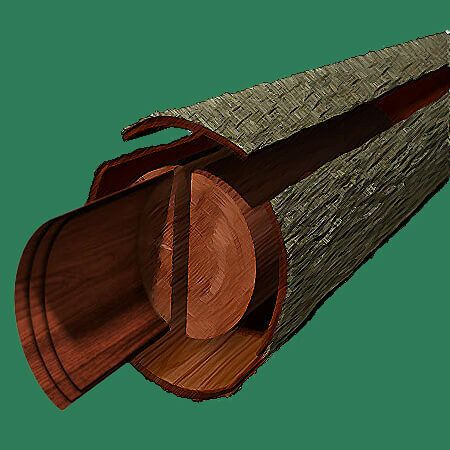 Sliced on an arc parallel to the center of the log, this cut achieves a flat-cut veneer appearance. This straight grain cut is derived by slicing red and white oak at a slight angle to minimize the irregularities in the wood.